Clear lines and polished surfaces are a refreshing switch from the disheveled looks, which we all love, but change is good. 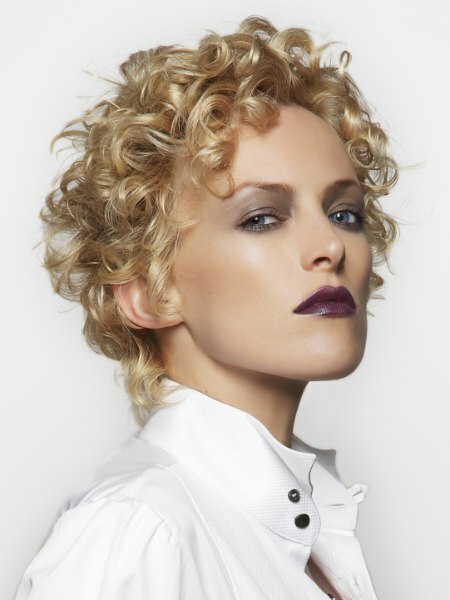 Added retro flavor and inspiration from hairstyles of the 1930s and 40s give this exciting collection by Mark Woolley its irresistible charisma. "Rio" features five looks with cuts based on geometric principles and surfaces that are extremely smooth and controlled. One curly look is the exception, but even with all of the moment, nothing is random. Every element in every hairstyle is well defined and has a purpose in the overall design. The vibe is feminine, with power and also with a twinkle in the eye.